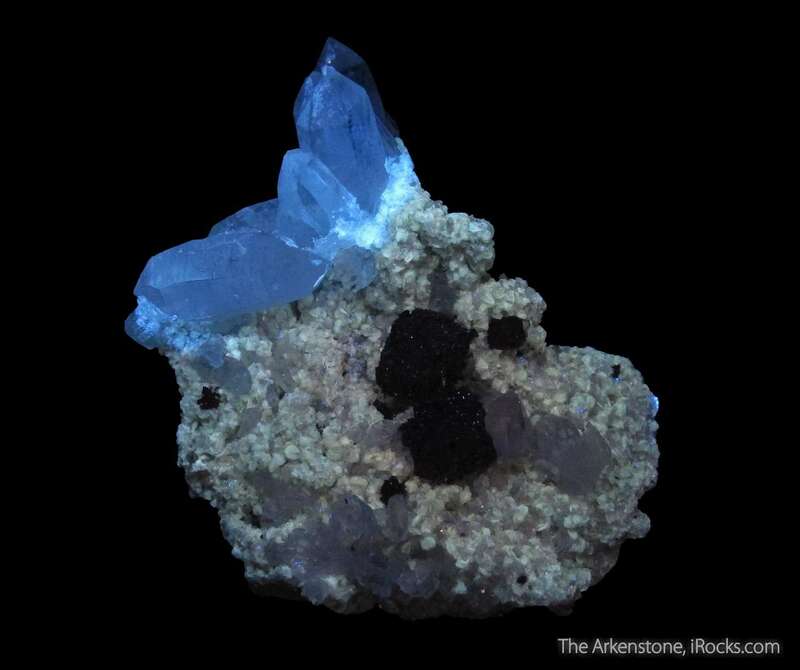 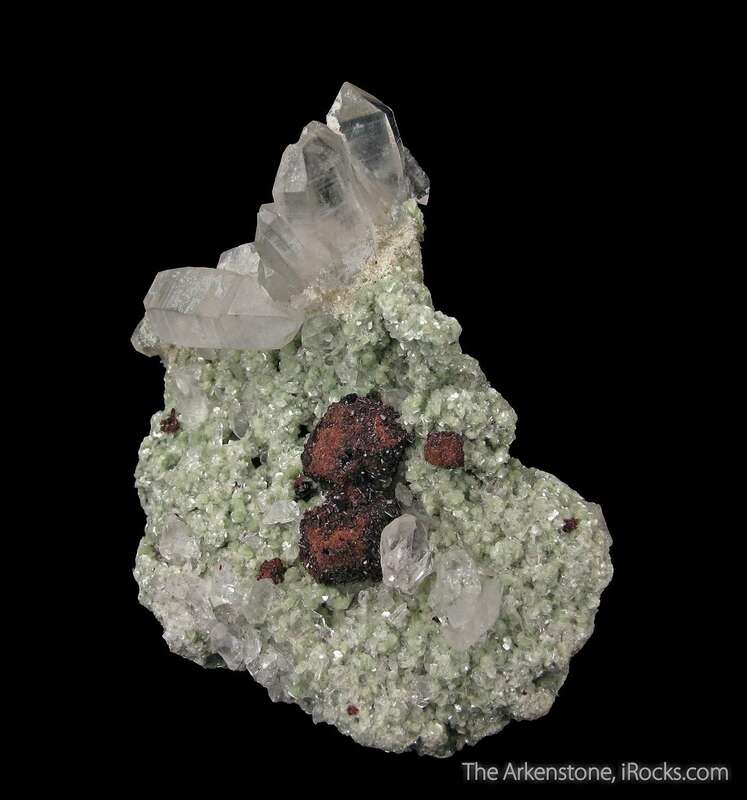 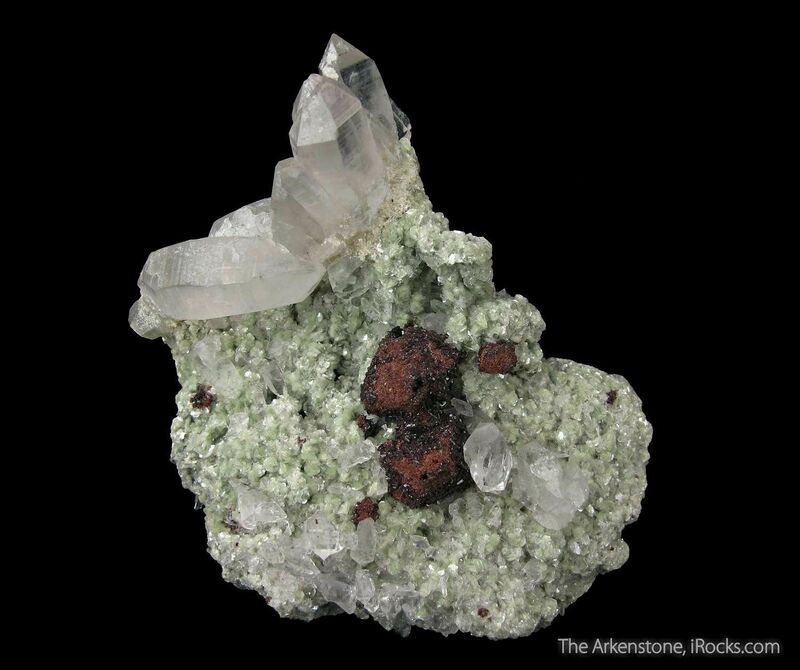 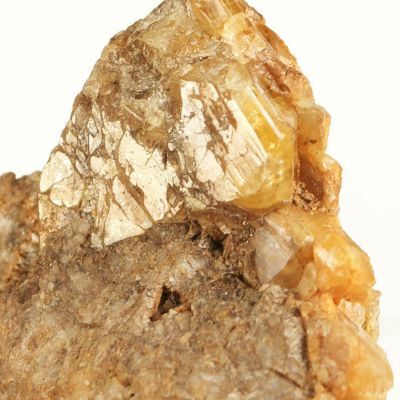 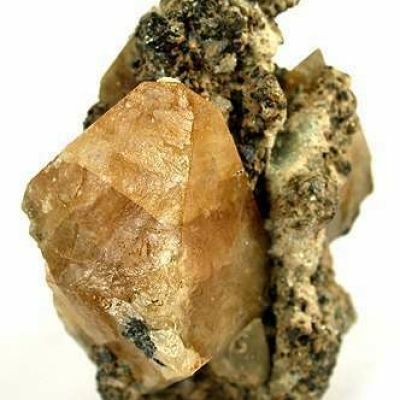 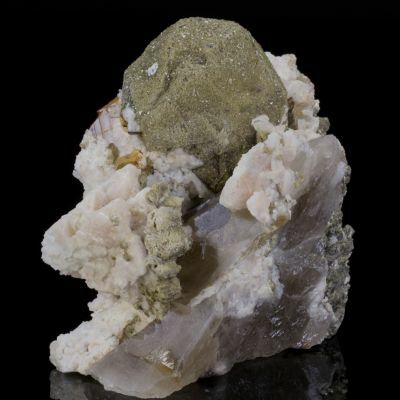 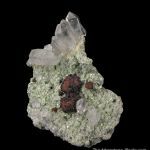 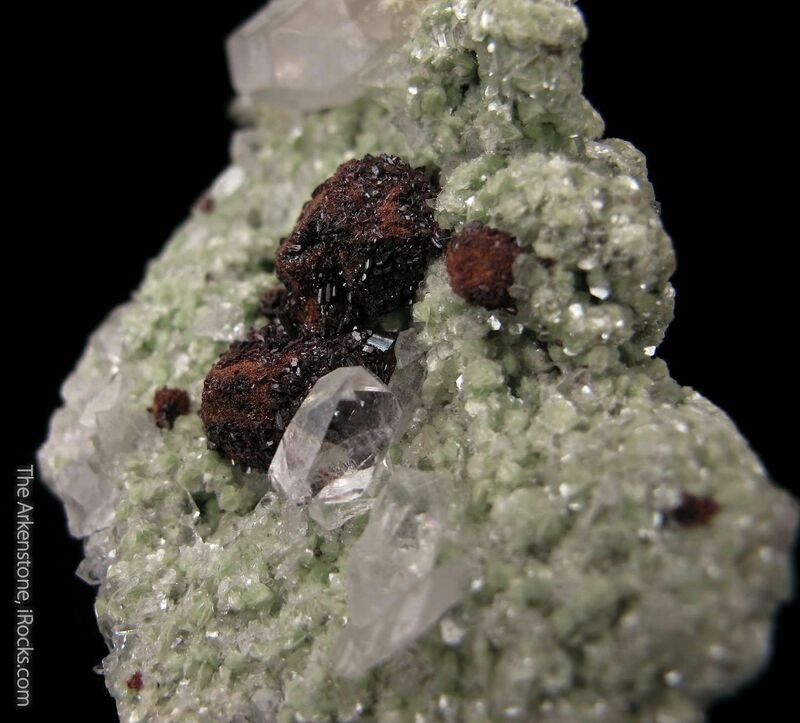 An epimorph specimen of Hubnerite on Scheelite from the famed Mundo Nuevo Mine of Peru. 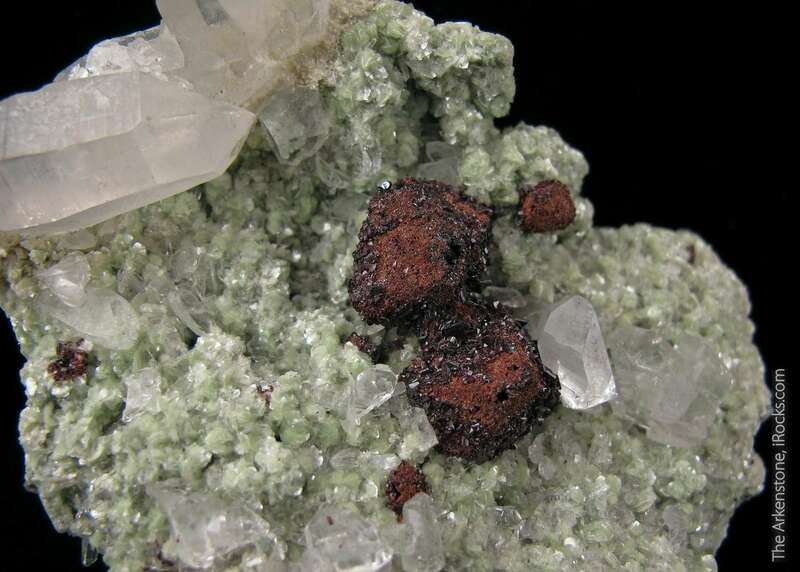 The bladed, mm-size, blood-red Hubnerite crystals have encrusted (epimorphed) on octahedral Scheelite crystals. 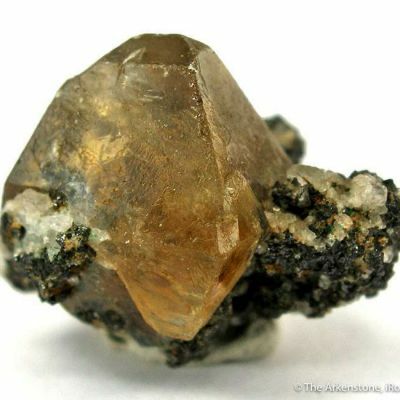 The Scheelites range up to 1.2 cm in size. 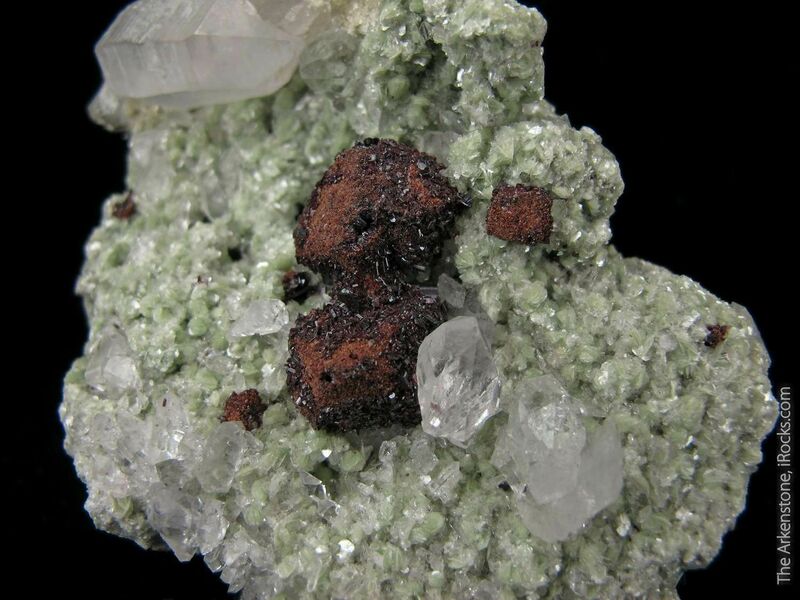 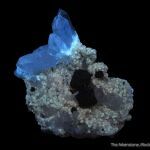 The whole plate is composed of 2 mm Muscovite rosettes and gemmy Quartz crystals, both of which are fluorescent. 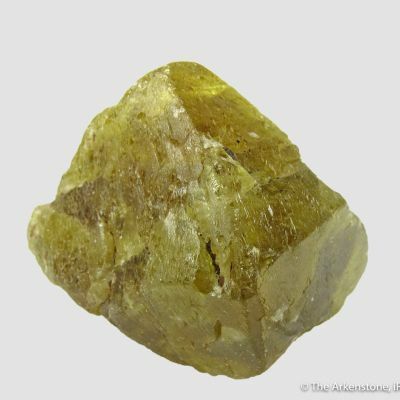 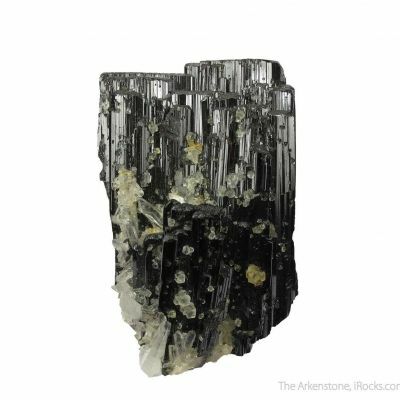 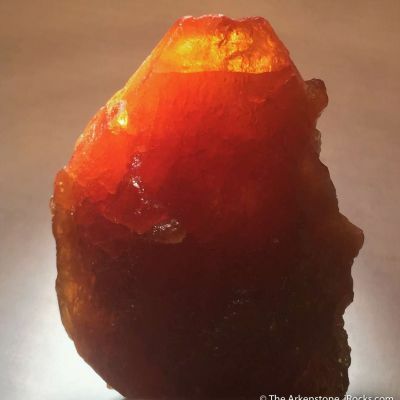 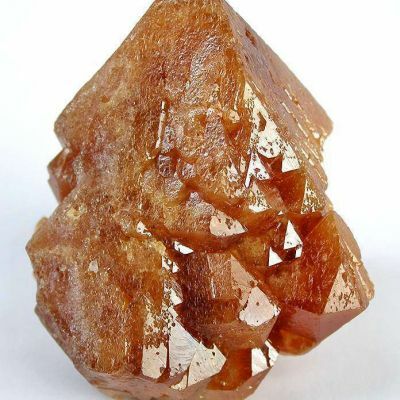 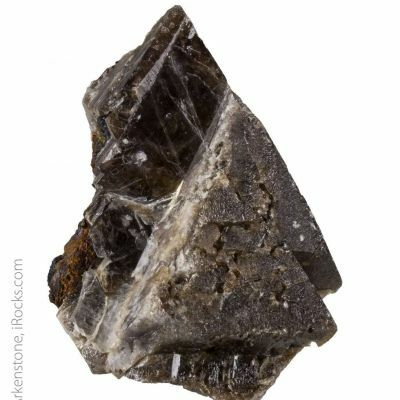 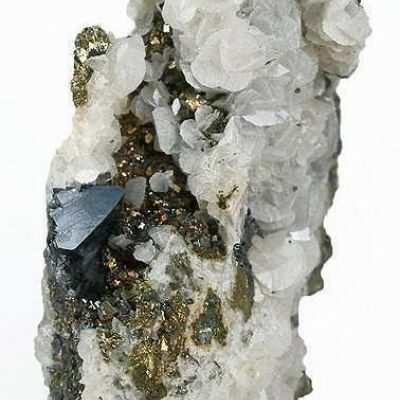 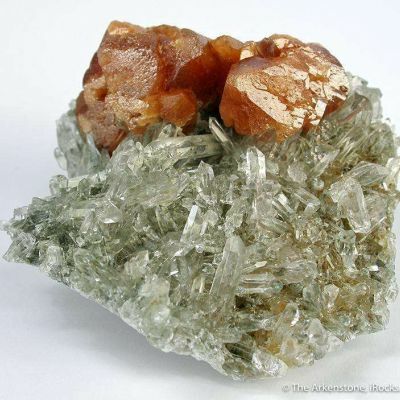 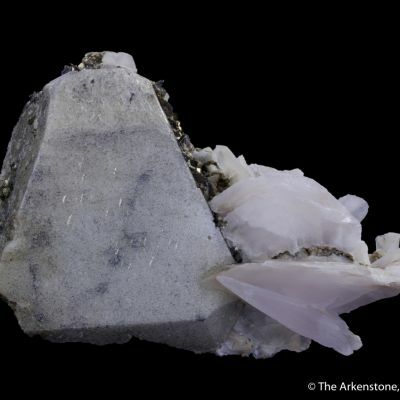 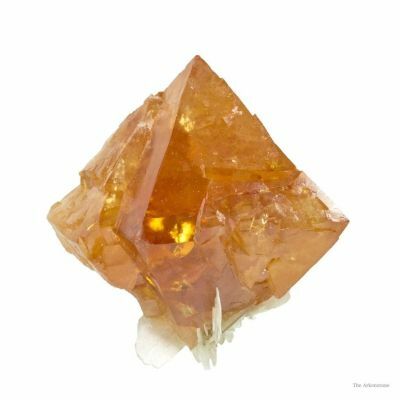 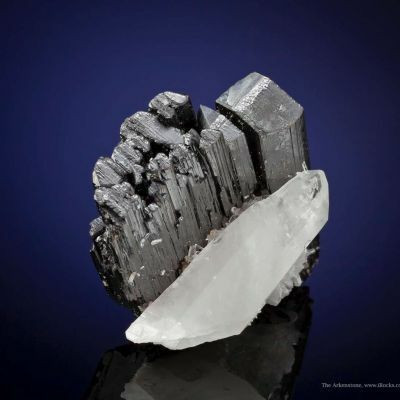 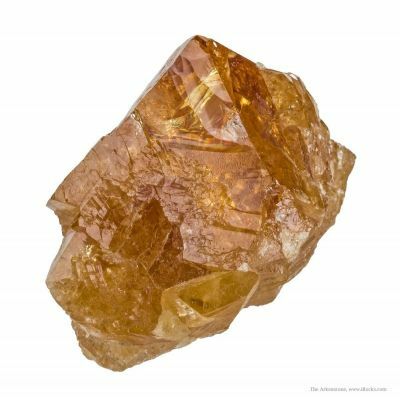 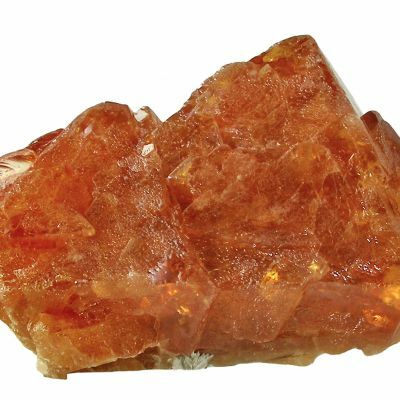 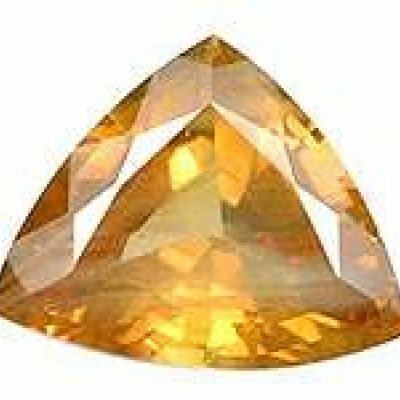 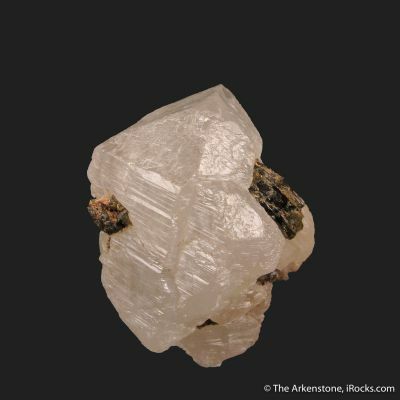 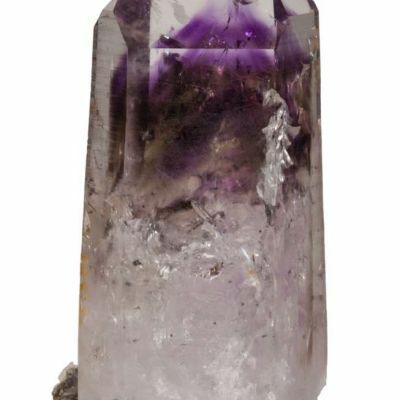 It is quite intriguing that the Quartz crystals take two habits: elongated prisms up to 3.4 cm (that one is doubly-terminated) and a complex tabular crystals that are quite gemmy. 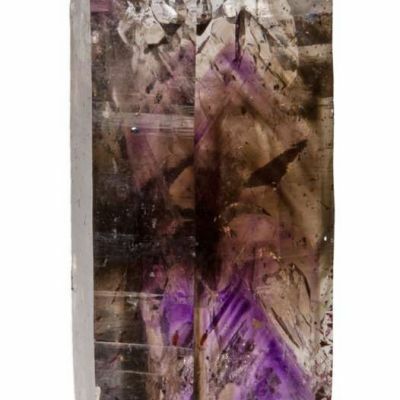 This is an outstanding combination piece with no lack of mineralogical interest and aesthetics. 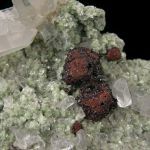 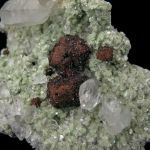 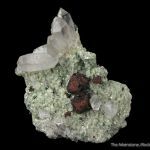 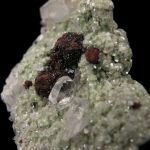 Art Soregaroli edited the magnum opus book on Peru mineral specimens, and this is from his prized collection of miniatures and small cabinet sized Peru pieces, most of which he obtained himself down there in the 1980s and 1990s.